Husic Vineyards was founded by Frank and Julie Husic. 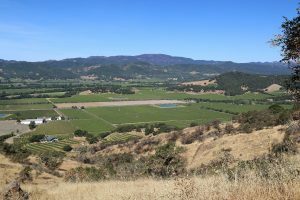 Both met in 1994, purchased a 120 acre mostly hillside property partially located in the Stags Leap District the following year. Intrigued by prominent vineyard neighbors they began to inquire about planting their own vineyard. 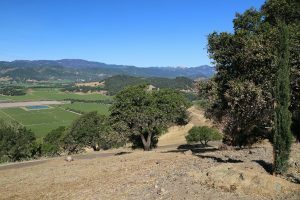 Asking neighbors and others they were directed to several vineyard managers – but the ones Julie initially spoke to didn’t want to “come down valley”. 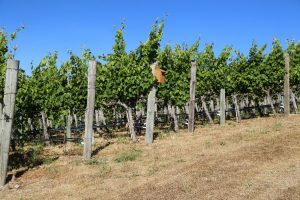 Eventually she met Jim Barbour – he walked the property with her and identified several vineyard sites that could be planted to vines. If this was today, none of these sites could be planted. 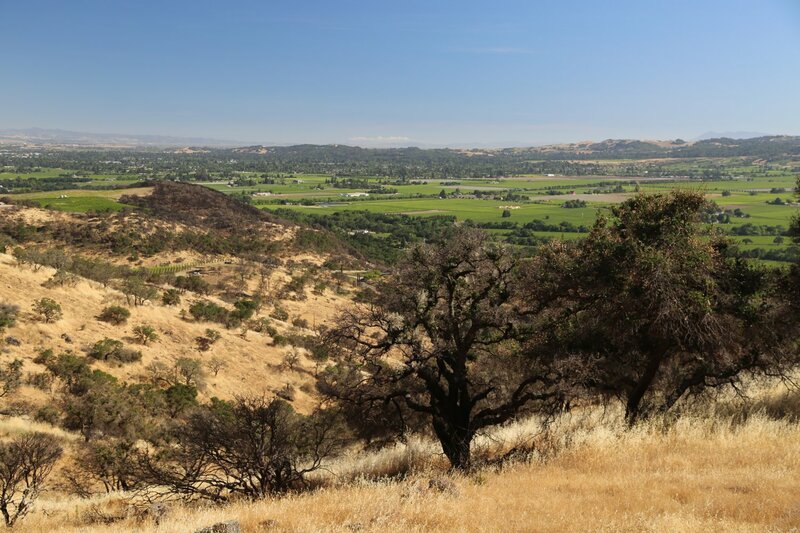 But this was in the mid 1990’s before Napa county enacted a stronger hillside ordinance prohibiting new vineyards from being planted on slopes greater then 30 percent. Jim helped with the paperwork for getting county approval which ultimately was for approximately 9 acres of vines. 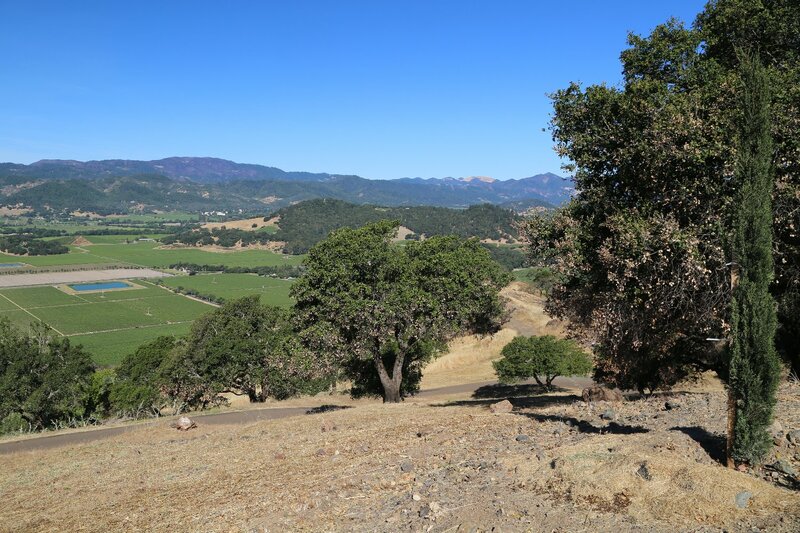 This was one of the last steep hillside vineyards planted in all of Napa county. 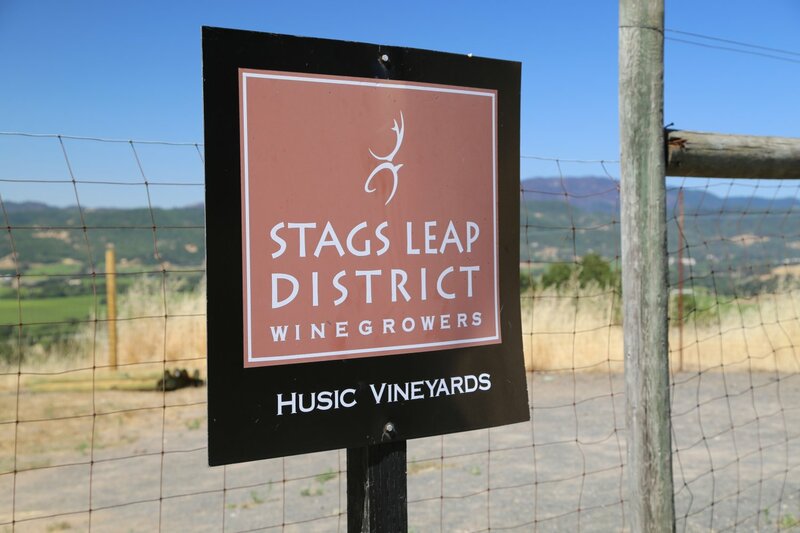 The vines were planted on three sites in 1997 – the larger of the sites is just outside of the Stags Leap AVA (which has a 400 foot elevation limit) – the other two smaller vineyards are within the AVA. 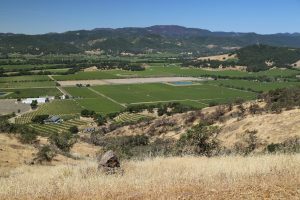 The vineyards run from near the valley floor to about 900 feet. 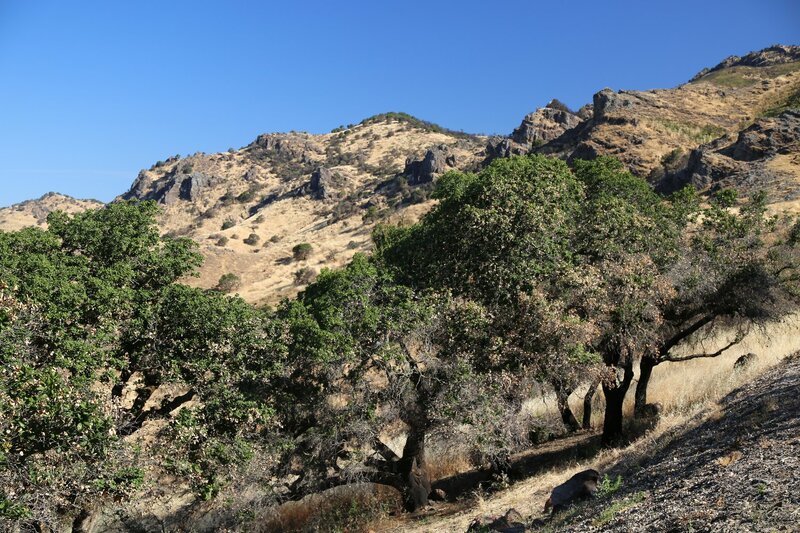 The sites are extremely rocky and in some parts greater then a 35% slope (the vines are terraced). The soil is very shallow. 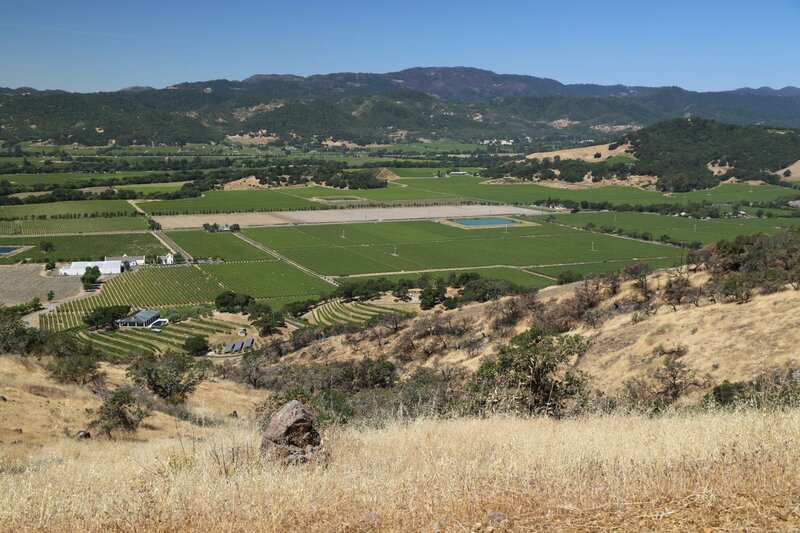 Other then two short rows of Petit Verdot, the vineyard is planted entirely to Cabernet Sauvignon. The vines are all west facing. The views from the vineyard are expansive – on a clear day one can look up and down the Napa Valley hundreds of feet below. And to the south, one can clearly see the tall buildings of San Francisco in the distance from their uppermost block. Their first harvest was 2001 which was released in 2004. 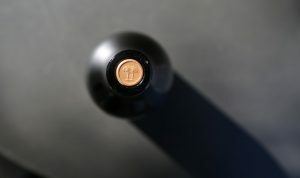 Later that same year they received an invitation to a prestigious blind tasting of California “cult cabernets” being organized by Bonhams and Butterfields. Frank knew a wine buyer who worked there and asked him if their inaugural release could be included in the tasting. He agreed and ultimately their Cabernet Sauvignon took second place. 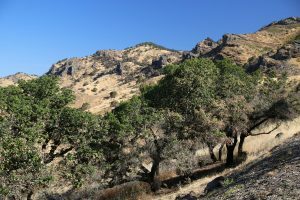 The results were posted to the bulletin board forum on the Robert Parker website. 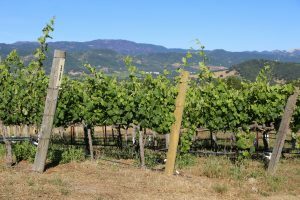 The ensuing demand for their wine was quick – remarkably despite being the ‘new kid’ in Napa’s Cabernet Sauvignon scene, their wine soon sold out. 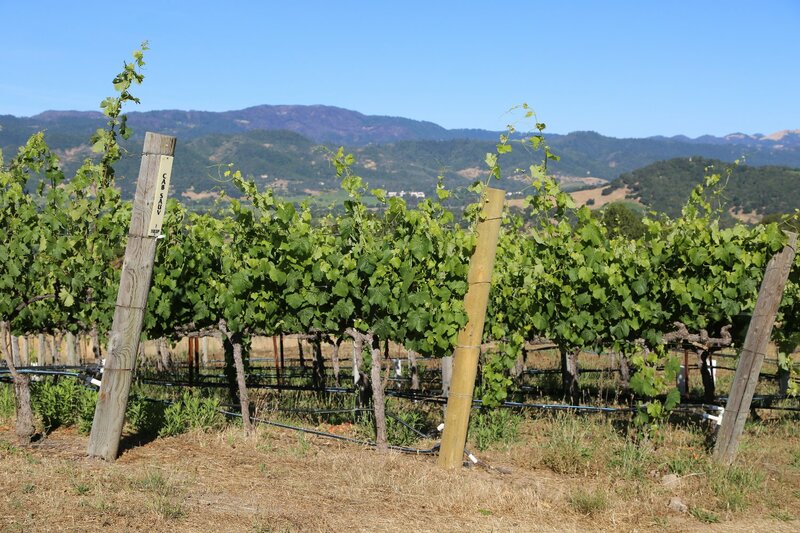 This vintage set the bar high; over the years they have added several additional wines including a Chardonnay and a Pinot Noir from the Sonoma Coast and a rare late harvest Sémillon from a small private vineyard on Howell Mountain. And in addition to their flagship Cabernet Sauvignon – a second label entirely made from estate fruit, the Palm Terrace is release every year. Celia Welch was their founding winemaker. Mike Hirby has been their winemaker since 2010. 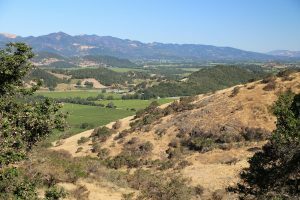 The 2015 Pinot Noir is from the Lynch Vineyard located approximately between Sebastopol and Occidental in neighboring Sonoma County. 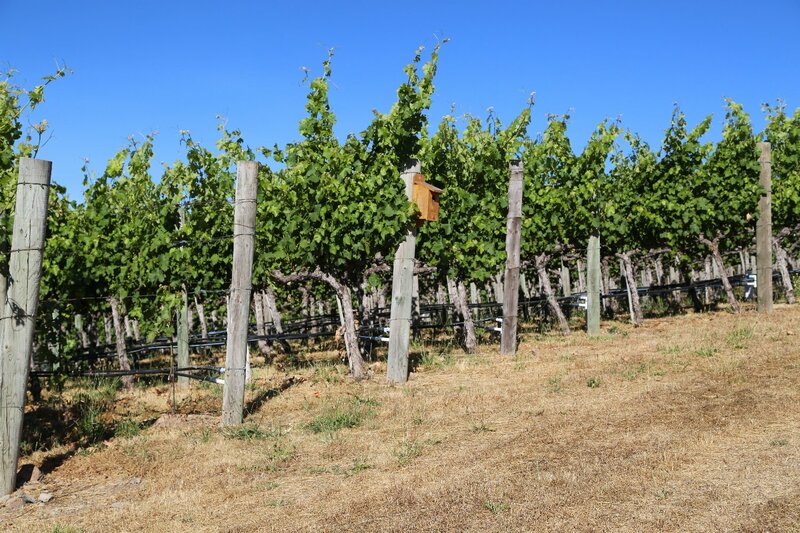 The vineyard site is steep with well drained loamy soils planted to four clones of Pinot Noir originally brought over from Burgundy. 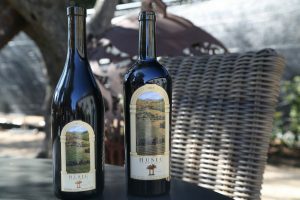 The 2015 Husic Vineyards Pinot Noir initially shows earthy notes with some wood spice but as it opens reveals beautiful fruit aromas (mostly raspberry). Nicely balanced and supple on the palate shows mostly red fruits including cherry. Offers a bit of weight mid palate without being heavy. Clean and supple on the finish – the flavors are long lasting with a red cherry tartness that lingers. We tried both the 2012 and 2013 Dos Palmas Cabernet Sauvignon – the contrast between both of these wines is a prime example of remarkable vintage variation. 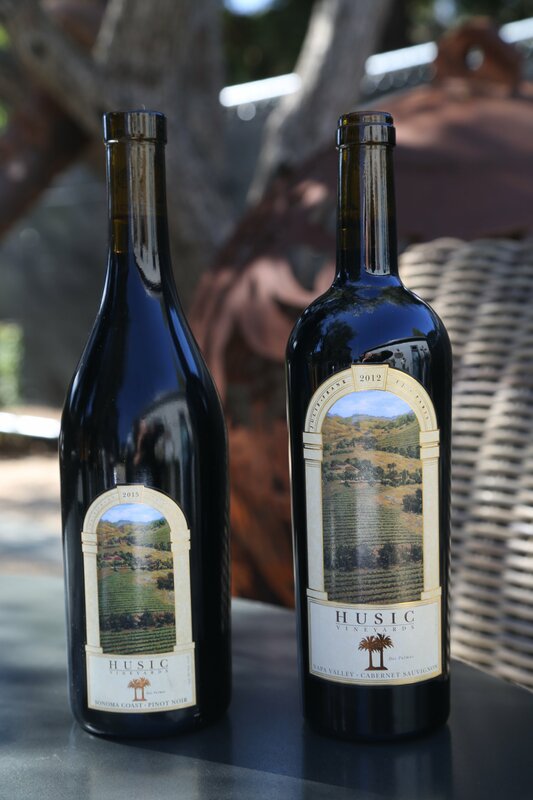 The 2012 Husic Vineyards Cabernet Sauvignon reveals aromas of black cherry and black currant – a noticeable sweetness of fruit including notes of liqueur – the bouquet is unwavering in its aromatic presentation. Shows hints of hints of oak spice, but these are subtleties – certainly not what you first notice on the bouquet. On the palate there is more red fruit then darker fruit with well-integrated tannins and a kiss of mocha showing on the long finish. More linear in its presentation then the 2013. 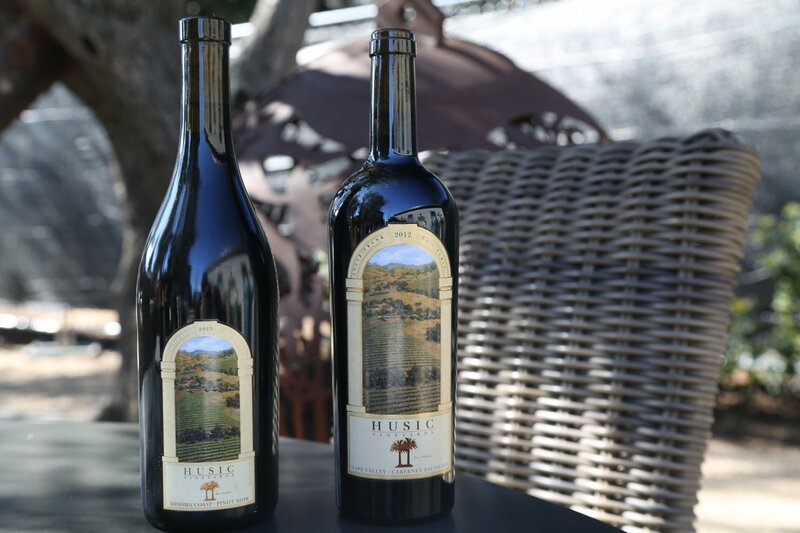 The 2013 Husic Vineyards Cabernet Sauvignon immediately shows darker fruit on the bouquet with aromas of mushroom, oak spice, white pepper and an earthy nuance. As it opens more fruit shows including aromas of blackberry and boysenberry. Reveals darker fruit on the palate including blackberry and black cherry – with excellent acidity. This is a robust wine with layers of flavor that complement the bigger tannins on this vintage as compared to the 2012. Will love to try this 10 years from its vintage. The wines are selectively distributed in the USA including in New Jersey, Florida and Texas among other states. Total production in a big year is around 2,000 cases. Internationally the wines are in select locations within Canada and Japan. 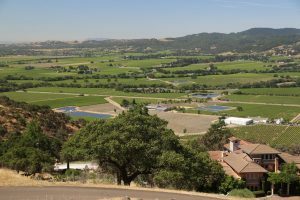 Frank and Julie have also found a specific niche for marketing their wines – using wine dinners at various country clubs and restaurants as excellent venues for introducing new customers to their wines. And for those visiting the Napa Valley, they are a winery partner at Ma(i)sonry in Yountville where one can taste the current releases of the Husic wines (appointments recommended). 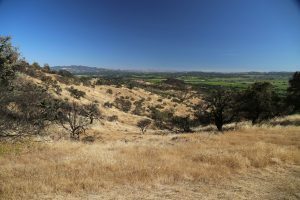 In October 2017 terrible brush fires raced across the slopes of the Vaca Mountains – devouring significant portions of parts of hillsides within the Stags Leap District. While the landscape surrounding much of the Husic Vineyards was seared by the fires – remarkably the Husic vines were not burned (as well as the two homes on their property).